The Bottle unscrambler is used to sort plastic bottles as part of our bottle filling lines. 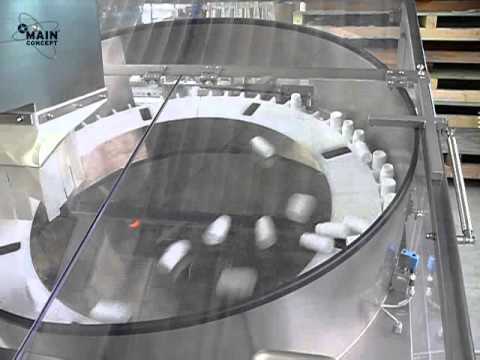 This machine is designed to changeover to other bottle sizes in less than 10 minutes. 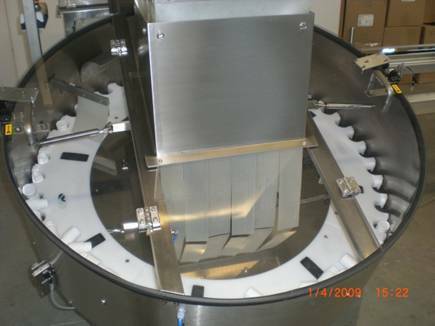 The unscrambler works as a centrifugal feeder and it has quick release tool-less change parts. Machines for higher outputs of up to 240 bottles/min, with a diameter of up to 1800 mm are also available.